We look at your future home as if we were buying it for ourselves. Trust the Experts at Striler Home Inspections. Choosing the right home inspector can help ease your stress and give you peace of mind. That’s why you should choose us! Striler Home Inspections is committed to serving you, our customer. We will help you make sure your investment is secure. Since 2011, we’ve built our business on trust, integrity and ensuring you have the information you need about one of the largest investments you’ll make. Ultimately, a thorough home inspection depends heavily on experience and attention to detail. With Striler Home Inspections, you’re getting licensed, professional inspectors who understand the commitment you are about to make. When you hire us to inspect your new home, we guarantee that we will take the same care as if we were buying it for ourselves. Your Trusted, Local Home Inspection Company Serving Eastern Massachusetts. Shouldn’t you expect an expert who is qualified and insured? We have a strict code of ethics and standards of practice. 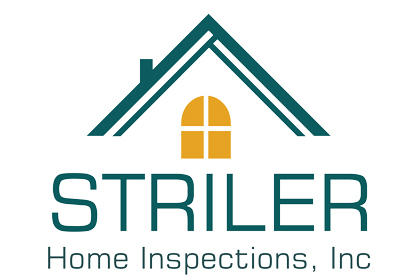 At Striler Home Inspections, we offer our accurate, thorough and reliable home inspections with honestly and to the best of our ability. We provide service beyond inspection day. We work together to answer all of your questions and concerns – even if you aren’t sure. Striler Home Inspections is there for you and your family. Not just any inspector, we put your needs first. Striler Home Inspections brings the best knowledge and education to every inspection but we also to stay up to date with the latest tools and technologies in the inspection industry. Every inspection we perform includes latest tools including specialized moisture readers. You expect more, and we deliver! I had an inspection with Striler Home Inspection recently on a house my wife and I are purchasing in Holliston. Chuck was wonderful. He was on time and prepared when he got there. During the inspection, he took the time to explain everything to me very carefully and show me everything he was going to note in the report. He took many photos as well. He happily answered any and all question I had and carefully looked at anything I told him I was concerned with. He seemed to have a thorough understanding of all areas of the inspection. We recently had an inspection on a home (over 500sf larger than this one) that we ended up not buying (see my previous review of the "other" home inspector) and this inspection was literally twice as long. That's how much more thorough Chuck was. The inspection report was emailed to me by Chuck later that night. The report impressed me. Everything was color coded (safety issue, maintenance item, things to keep an eye on) so it was easy to make sure you didn't miss anything important. Most of the noteworthy items had photos with a red arrow pointing out any damage or issues. I highly recommend using Striler Home Inspections. Even my realtor, who has worked with many inspectors, was very impressed. We had to get an inspector in less than 24 hours, so our realtor recommended Chuck, who immediately booked us in for the next morning. That morning, he was at the house before all of us, bright and early. When we arrived he was already inspecting the outside of the house and explaining everything to us in easier terms for us to understand. He was so friendly and treated us as long time friends, engaging us in conversation and making us feel at ease. He answered all of our questions and made it clear that everything would be explained in detail on the report so that we wouldn't scramble to take notes. We were so thankful to have received our report that same evening. If you are looking for someone with many years of experience, professionalism and easy going, we highly recommend Chuck for your home inspection.